City Council meets April 25 @ 6:00 pm. Located in the heart of the Ozark Mountains, Harrison is the County Seat of Boone County, Arkansas. It is nationally recognized as one of the "Best Small Towns in America" with a downtown lake and a beautifully renovated town square complete with hanging flower baskets. Harrison was previously featured in Where to Retire Magazine as one of the best retirement towns. Harrison's scenic canyons, hills, and rivers allow privacy and wide-open spaces, and the nearby cities of Branson and Springfield offer metropolitan amenities such as live performances and varied dining options. For outdoor lovers, canoeing and fishing amid the limestone bluffs and serene scenery on Buffalo National River are popular activities. The low cost of living, laid back lifestyle and historic downtown continue to draw retirees to Harrison. As the “Gateway City” to the Buffalo National River, Harrison serves as a lodging, dining and entertainment center for visitors to the Buffalo National River, lake Norfork and the north central Arkansas Ozark Mountains. Hanging baskets of flowers and awnings accentuate old brick storefronts that line the courthouse square, which with the adjacent buildings make up its national historic district. The flavor of the city is reflected in the activities and offerings at Lake Harrison, and in the downtown and beyond. The Harrison Historic Walking Tour includes downtown parks, the historic Lyric Theater, the 1909 Boone County Jail, and the 1929 Hotel Seville. Symbolizing wholesome Americana, the historic downtown also embraces restaurants, art galleries, antique stores, and other retail shops. The area boasts Boone County Heritage Museum, and north central Arkansas’s largest meeting facility, the L.E. Gene Durand Center. Surrounding the downtown area is an urban sprawl of contemporary dining and shopping districts. Bear Creek Trout Farm, where everyone catches something, is fun for families and people of all ages. Crooked Creek, a popular smallmouth bass stream, forms Lake Harrison just blocks from the historic area. Complementing the lake is a 7.5 mile hiking and bike trail. A short drive just south of Harrison to Ponca lead to opportunities to view and photograph Arkansas’s elk herd or to take the Buffalo River Canopy Tour, a treetop zip line adventure. Just 12 miles from downtown Harrison is the Buffalo River Trail at Pruitt. Mystic Caverns on the National Scenic 7 Byway offers photo-worthy tours of two distinctly different caves. Because the city is located on this scenic road, it has become known as a leading destination for motorcycle travel. Using Harrison as a base, motorcyclists enjoy routes throughout the Ozarks with names such as Ozark Moonshine Run, Peel Ferry Route and Jasper Diaster. 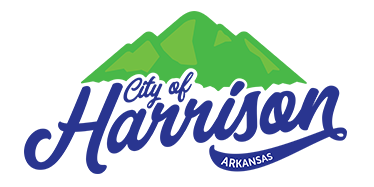 Harrison is also home to such events as the Arkansas State Hot Air Balloon Championships, Fourth of July Hometown Celebration, Crawdad Days Musical Festival, Harvest Homecoming & Hot Rod Festival and the Fridays on the Square Cruise in and Block Party. The city hosts over 75 sports tournaments ranging from volleyball, softball, and baseball to 7-on-7 football and basketball. Harrison is located on Ark 65 halfway between Little Rock and Branson, Mo. It is intersected east and west by either Ark 62 or Ark 412 and south by Scenic Ark 7. Harrison is about 40 miles from world-class trout fishing, 52 miles from Mountain Home and 79 miles from Fayetteville.